Nursing homes provide our elders with a place to recover from serious surgeries or medical events. Often times, the conditions in these nursing homes leave much to be desired. Not only is the quality of care poor, but patient care is reduced largely by non-medical factors. This can result in a number of mistakes made by nursing home staff that are not technically medical negligence. A recent Florida Supreme Court decision clarified the difference between medical malpractice/negligence and basic negligence in a hospital setting. The clarification is useful because Florida does not make litigating medical malpractice cases easy. The barrier to entry and requirements to bring a medical malpractice claim is heavier than in a general negligence claim. That’s why in a recent lawsuit, National Deaf Academy, LLC v. Townes, the defense attempted to have the incident treated as a case of medical negligence and not basic negligence. It would have made the case more difficult for the plaintiff. 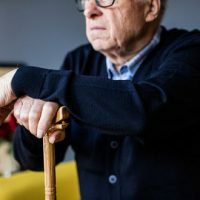 In that case, the Florida Supreme Court decided that the plaintiffs could pursue a cause of action based on negligence and not medical negligence because the injury that resulted from the caregiver’s conduct did not involve a medical decision. Environmental problems like cluttered hallways, obstructions, or unmarked wet floors. Patients who have difficulty moving or standing for themselves need to be transported from baths to beds with aid of machines called lifts. When these patients are dropped either due to a problem with an older machine or because the machine wasn’t operated properly, the results can be catastrophic. Just recently, a 101-year-old woman was killed after being dropped by a nurse attempting to lift her out of the bathtub. Lawyers for the family are alleging that the nurse and the agency that hired him are responsible for the death. The Palmer Law Firm, P.A. of Tampa, Florida can help you get restitution for your injuries. If you’ve been injured by another’s negligence, medical or otherwise, we can help prepare your case and get the results that you deserve.